Super Natural Skincare is a natural, pure and effective skin care line that delivers optimal results and is a pleasure to use to help you look and feel beautiful. We use natural active ingredients that feed the skin with essential skin nutrients to help skin health, reduce inflammation & skin irritations, clear acne, remodel scarring, help fade pigmentation and accelerate collagen production for radiant firm hydrated skin . At Super Natural Skincare we focus on the wholistic approach to restore beauty and clarity in your skin. This means that we care for the skin by making sure our products are free from ‘nasty’ ingredients such as Sodium Lauryl Sulphate (SLS), Propylene Glycol, Mineral Oil, Artificial Colours or Scents and Paraben’s. Super Natural Skincare chooses not to use ingredients that can irritate the skin and strip the skin’s natural protective moisture barrier. We use 4 revolutionary skin strategies that work in partnership with the skin to deliver results. Super Natural Skincare promotes healthy radiant skin, by helping keep your skin clear, radiant & firm. SuperNatural Skincare has proven that to effectively treat these skin conditions vital skin nutrients need to target your true skin, which is found 5 layers below the superficial top skin layer called the epidermis. We use advanced natural ingredients to specifically address the 5 core skin concerns to activate repair, stimulate collagen formation, speed up cell rejuvenation, restoration and skin clarity, our results stand out from the rest because we make a real difference in your true skin. 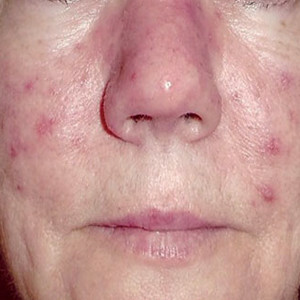 SuperNatural Skincare helps real people get real results. Our goal is to help you have beautiful clear radiant skin, by offering the best natural products to treat your true skin, with true results. Use our online revolutionary Skincare Advisor tool to help you identify your skin problem(s), the common symptoms and solutions. I have always been fascinated by the skin and while it is a complicated organ there are simple truths about it that I believe most skincare products and professionals fail to recognize and embrace. Over many years in my clinic as a skincare therapist I became increasingly frustrated with the premium skincare brands I was using and advising my customers to use. I hoped for the results that were promised but unfortunately they were seldom achieved. In later years I found the answers as to why those results were not possible. 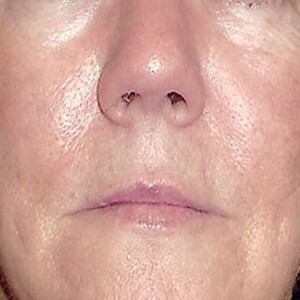 My main frustrations with my customers’ skin were premature ageing, loss of elasticity, hyper-pigmentation, rosacea, extremely sensitised skin, dehydration, uneven blotchy skin, acne and rough thick skin, which were often the result of sun-damage, using overly aggressive & harsh products, lack of internal water and dietary/gut problems. Other concerns were flakiness, skin irritations, oily unbalanced T-zone’s, enlarged pores, recurring blackheads and skin that lacked luster and health. I remember being frustrated due to not adequately being able to help 40% of my clientèle with their skin concerns and get real results and positive longterm change in their skin. So, I began researching the chemical reactions in the skin and the body due to potentially harmful and toxic ingredients in skincare, make-up, personal care and house-hold cleaning products and food. What I discovered provided answers to my own health challenges as well as giving me an understanding of the challenges my customers were facing with their skin and their health. Our skin is an advanced organ working 24 hours a day to maintain the best state possible. While it seems to work against our (cosmetic) desires when it creates rashes, acne, hyperpigmentation, and inflamed redness, it is, in fact, doing its best to perform at optimal levels in the conditions that we create in our body or subject our skin too topically. Our skin reacts to numerous conditions we create including our mental state, environmental influences and diet which I believe is one of the biggest contributors next to stress for skin problems. No part of your body acts completely independently of another and our skin reveals our state of health. I discovered that the traditional approach to skincare and treating skin conditions is flawed. Why is this so important? If you know that the skin is acting appropriately, would you try to damage it more to attain a SHORT TERM cosmetically (but not physiologically) improved appearance? My belief is that we should work with our skin, feeding it with the nutrients it requires to become healthy and strong. NOT destroying it, or irritating it, or inflaming it, but rather working in partnership with our skin, through the natural repair process, to REMOVE inflammation and allow healing to occur. I created SuperNatural Skincare to nurture, and help heal, repair and rejuvenate skin, giving long term results, bringing balance, harmony and clarity to your skin. What do you need to know about the skin to make intelligent choices? The most beneficial ingredients do three things; 1. Increase circulation (the skin’s only source of food/nutrients/immune cells/building block materials), 2. Stimulate fibroblast activity (the only way to make collagen, elastin, (GAG’s glycosaminoglucans) needed to rebuild/repair the skin), 3. Provide antioxidants to help neutralise the 24hr a day attack on our cells from free radicals. Our skin is one of our greatest assets and is on show every day to everyone. We need to take care of it as it’s the only one we have!